Melbourne’s gloriously schizophrenic. It has a storied elegance, with Georgian municipal buildings that speak of the city’s 19th-century gold-rush wealth. It’s energetically modern and thrusting, with a balanced grid of streets and world-class sports venues such as ‘The G’, Melbourne Cricket Ground. Yet beneath this semblance of orderliness, rebellion simmers. For Australia’s ‘City by the Bay’ is nothing less than an old curiosity shop of proudly individualistic precincts, shaped by migrant communities and subcultures. In the same day, you could take in the beach (and cake shops) of St Kilda, the splashy retro murals of Fitzroy, and the pho eateries of Richmond’s Little Saigon — and even then, you’d only just be warming up. I love the buzz of Melbourne, especially when there’s an Aussie rules game on from March to September. It’s a multilayered city that you can spend months and even years exploring, forever uncovering a new piece of edgy street art, or visiting a new suburb or beach. Melbourne can be a secretive city: much of it is hidden from view down a maze of lanes in the CBD (central business district). Originally designed to provide service access to buildings, the lanes were opened up in the 1990s, gentrified (some were former Victorian slums) and made pedestrian-only zones. Concomitant to the laneways is a handful of Belle-Époque-style arcades, with mosaic tiling and high glass ceilings reminiscent of Paris’s passages couverts. High-end boutiques and tea rooms (plus the odd tarot reader) are found in the arcades. 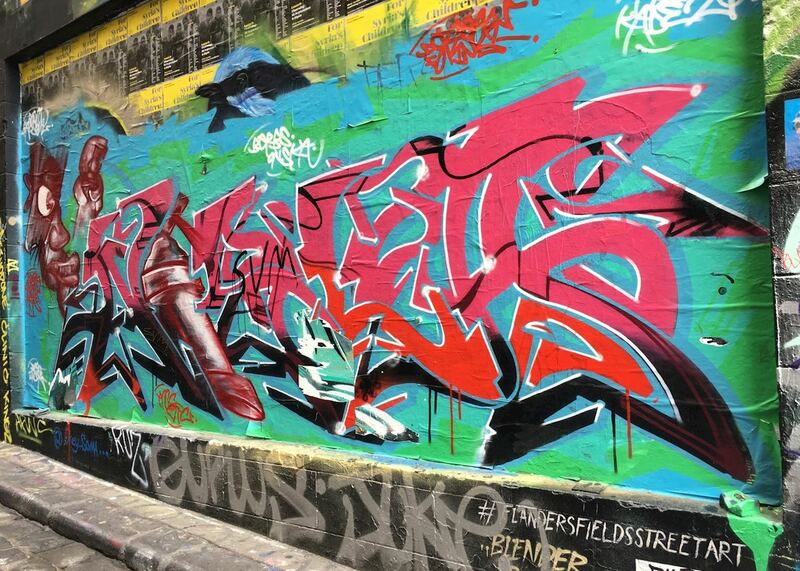 In the laneways, alfresco cafes, independent bookshops, sushi bars, standing-room-only clubs (and much more) jostle alongside each other against a backdrop of kaleidoscopic, often political graffiti and street art. 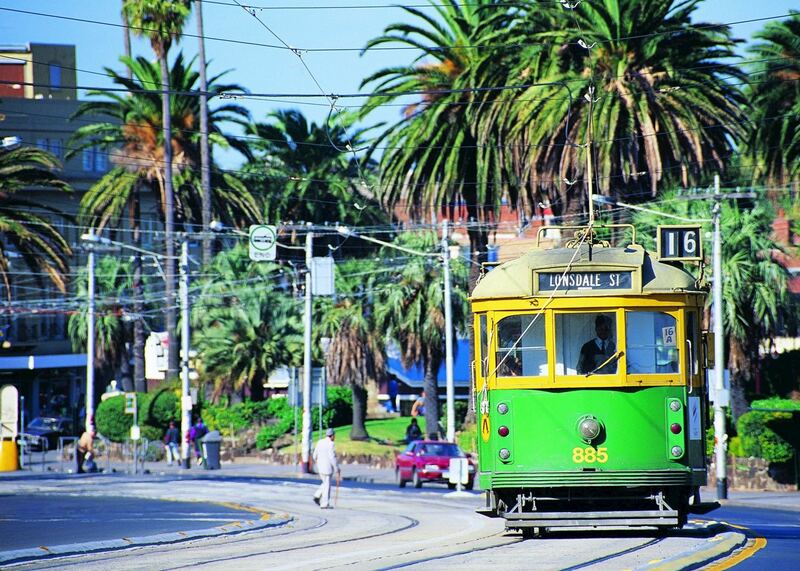 A short tram ride south of the city brings you to the beachfront suburb of St Kilda’s. At night, its streets become busy with barflies, but by day the scene is quite different. Locals bask quietly on sidewalk cafes, tucking into patisserie-style cakes from Acland Street’s bakeries. The sea — too soft for surfers — might be speckled with sea kayakers, windsurfers and swimmers, while roller skaters glide up and down the esplanade. On Sundays, this walkway is overtaken by an arts and crafts market. Strolling to the end of the breeze-swept pier and boardwalk, you can look across to the white beacon of St Kilda’s lighthouse. Stay for sunset, and you’ll see penguins waddling among the rocks of the pier’s breakwater. When you walk down this northern suburb street you’ll feel your eyes pulled in a million directions, from the brightly hued street art and resident buskers to the cheerful cacophony of signage and sometimes ramshackle shopfront façades. The place is a showcase for world cuisine, with restaurants serving all kinds of fare from tapas to modern French and Asian, as well as vegetarian-only. You’ll see locals tripping along its length, carrying wine bottles — a lot of the restaurants here are ‘bring your own’. Apart from dining establishments and bars, you’ll also find galleries, retro-clothing stores, cafes whose main occupants are writers and artists, and LGBT bookshops. Locals call it the ‘meeting point’. 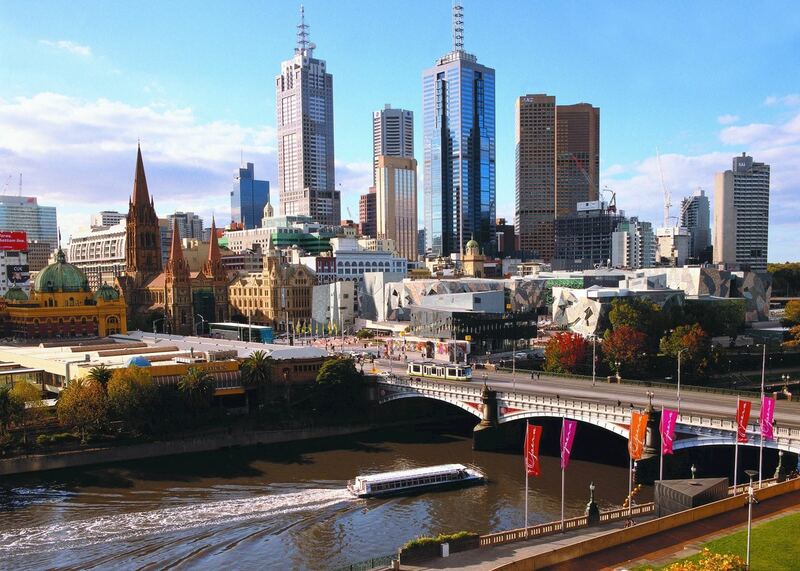 This U-shaped public square, Melbourne’s first, spreads from the CBD to the muddy Yarra River. 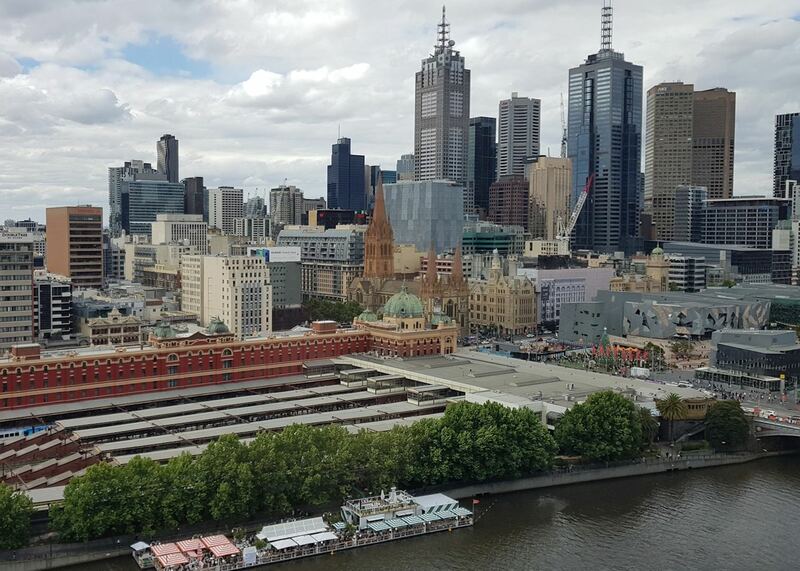 It’s fronted by both the city’s cathedral and Flinders Street Station. A wall of clocks displaying different time zones frames the entrance to this Edwardian-era building, which spawned the phrase ‘meet me under the clocks’. It’s a space that’s at once heavily secular and yet spiritual — the sandstone paving tiles in the central scalloped piazza were designed to evoke the Outback and Victoria’s Aboriginal heritage. It’s also traditionally the place where Melbourners come together to watch events broadcast on the square’s big screen. Amid the cafes, bars and benches stand the Ian Potter Centre and the Australian Centre for the Moving Image. Their angular, twisty façades made of glass and zinc hexagons, and slate-hued and pink pinwheel tiling, demand your attention. Inside, you’ll find indigenous and non-indigenous Australian art and avant-garde installations. This grassy island surrounded by both basaltic and pink granite outcrops lies an hour and a half away from Melbourne. It attracts surfers who are drawn to the strong rips and currents of Woolamai Beach, but its real highlight is its wildlife. Every evening, a colony of little penguins — the world’s smallest penguin — make their way up through the spiky grass of Summerland Beach to their burrows. It’s possible to observe the ritual with a wildlife guide from a sheltered, unlit spot on the beach. Elsewhere, you can see fur seals lolling over rocks, and spot sleeping koalas from treetop boardwalks. An hour’s drive away from Melbourne is one of Australia’s premier wine-producing areas. The Yarra Valley is a gently hilly landscape of vineyards, orchards and flower farms, sheltered by the Dandenong Ranges. These low-lying mountain ridges are covered in temperate rainforest and fern gullies. You can take wine-tasting tours of many of the boutique and larger wineries here — we like Yering Farm, and Rochford, plus Domaine Chandon for champagne. Most wineries will serve lunch and food platters. Yarra is also home to artists and a forest interspersed with woodcarvings of Aboriginal spirit figures. This 200 km (125 mile) coastal road warrants several days’ exploration, but it’s possible to get a taste of it on a day visit from Melbourne. The scenery dazzles whichever way you look. In the Southern Ocean, you have the limestone sea stacks of the Twelve Apostles, while inland the road skirts eucalyptus forest and fern gullies. Guided day trips from Melbourne often include walks on the beaches opposite the sea stacks, and a visit to the Great Ocean Ecolodge. At this property, you can venture into the bush with rangers to learn about koala conservation projects, and watch the creatures snoozing in the trees above your head. 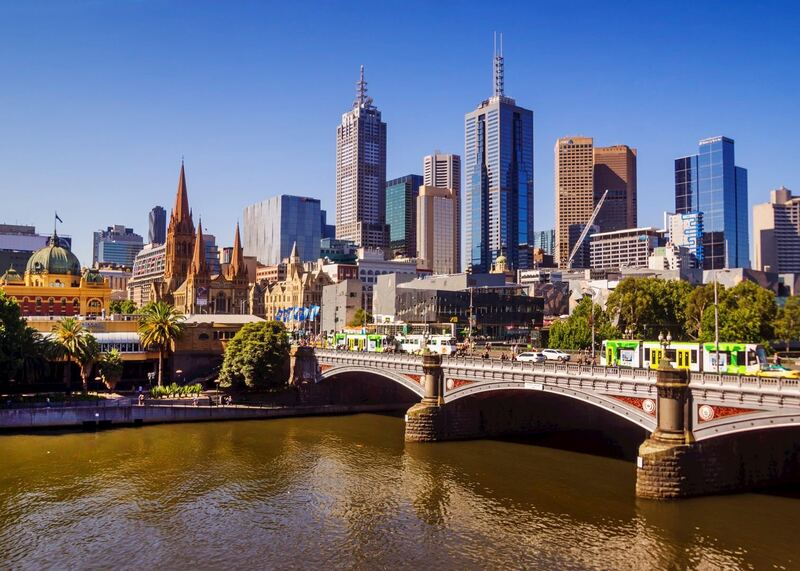 Melbourne’s weather can be very changeable but, in general, the summer months (December to February) offer the most pleasant climate. Melbourne’s a city in love with sport, so it’s at its busiest (but also its liveliest) during major sporting fixtures. These include the Melbourne Cup (Australia’s most prestigious horse race), which takes place annually in November, the Australian Open, and the Australian Grand Prix (dates vary). 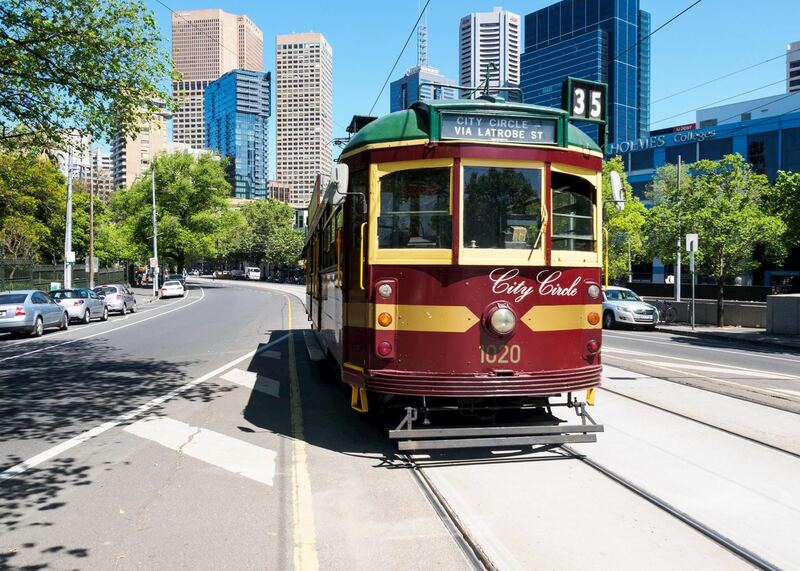 Our itineraries will give you suggestions for what is possible when you travel in Melbourne, and they showcase routes we know work particularly well. Treat them as inspiration, because your trip will be created uniquely by one of our specialists. 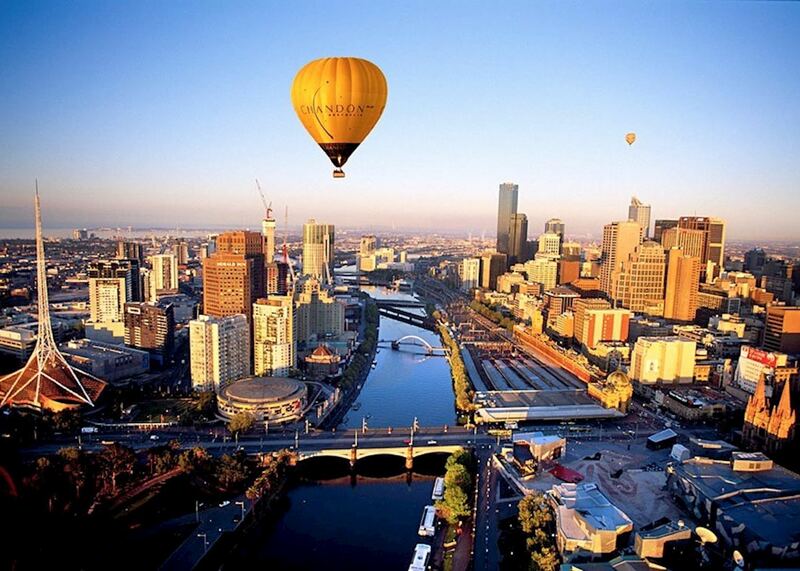 We’ve selected a range of accommodation options for when you visit Melbourne. Our choices usually come recommended for their character, facilities and service or location. Our specialists always aim to suggest properties that match your preferences. The Langham is the centerpiece of Melbourne's sophisticated and vibrant cultural heart at Southgate. Offering guests panoramic views of the Yarra River and city skyline, the hotel stands high above many of the city's best restaurants and speciality shops. The Lyall is a stylish hotel located a short distance from the bustling center of Melbourne in the elegant suburb of South Yarra, which has excellent restaurants and shops to explore. This luxury hotel is superbly located on the Yarra River and set amongst the cafés, bars and restaurants of the cosmopolitan Southgate area. The Crown Towers is located on 'Southbank' of the Yarra River in Melbourne and is just a short stroll from the central city area. Our specialists seek out authentic ways to get to know the places that could feature in your trip. These activities reflect some of the experiences they've most enjoyed while visiting Melbourne, and which use the best local guides. 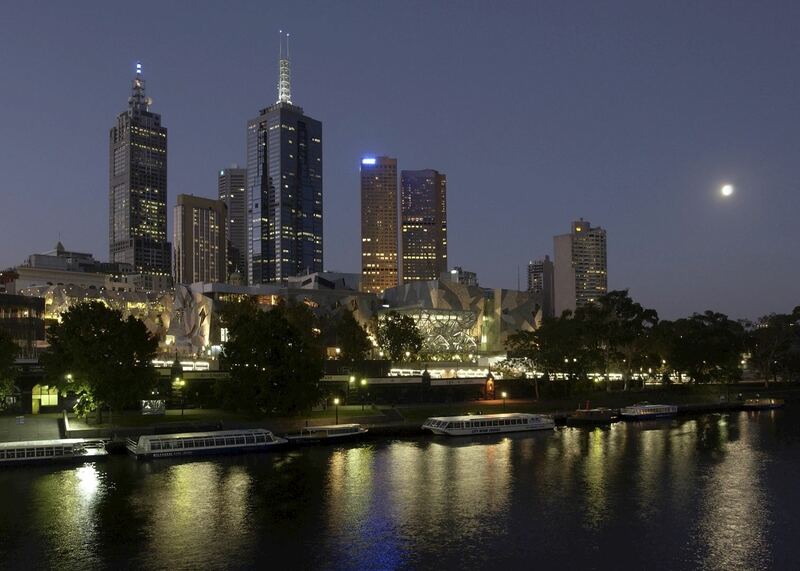 Melbourne is breathtaking under lights and this tour will have you marveling at the heritage buildings throughout the Golden Mile, leaving you mesmerized by St Patrick's Cathedral, the Shrine of Remembrance in Melbourne's Royal Botanic Gardens and the world heritage listed Royal Exhibition Building.